Microbeads will be banned from use in cosmetic products as concerns rise over them polluting the environment and damaging the marine ecosystem, the Ministry of Food and Drug Safety said Thursday. The tiny plastic pieces 5 millimeters or less in diameter can be found in facial cleaners, scrubs and other cosmetics for exfoliation effect. The ministry said that it has notified its revision to the law on safety standards on cosmetics to add microbeads to the list of banned base materials. From July next year, sales of any products distributed in South Korea with microbeads will be prohibited altogether. Environmentalists have been campaigning for the awareness on the damage that microbeads bring to the environment, urging voluntary participation from the manufacturers. As microbeads are too small to be filtered, they pass through water purification systems and flow into oceans. Marine life would eat them, mistaking them for food. 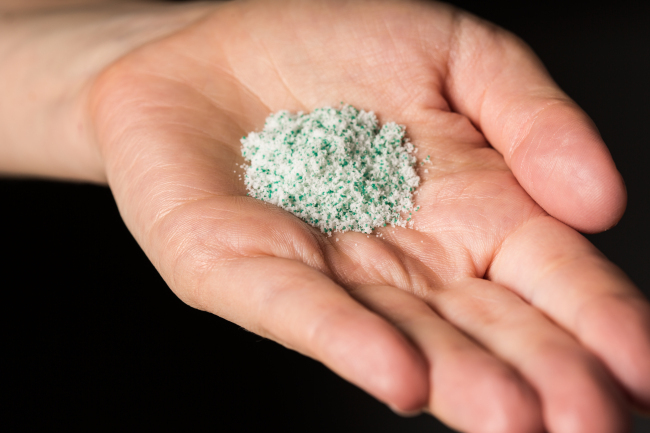 The microbeads often includes polypropylene (PP), polyethylene terephthalate (PET), polymethlyl methacrylate (PMMA) or nylon, none of which are degradable and all of which take at least several decades to dissolve. The Korea Women’s Environmental Network also showed that every 2.5 in 10 fish, such as plankton, here were found to contain plastic waste inside their stomachs. The microbeads are eaten by plankton, which are then eaten by small fish that are then eaten by bigger marine life, which in turn are caught and consumed by humans. Such fine plastic tends to absorb toxic chemicals as well as discharge them, polluting the surroundings. According to UN Environment Program data in 2014, at least 20 million tons of these plastic pieces end up in the ocean each year. Other countries such as the US, the UK, Canada and Taiwan have been moving to revise related laws to ban the inclusion of microbeads in consumer products.